Emeritus Professor Garth Paltridge, born April 1940 (age 78–79), is a retired atmospheric physicist and a global warming sceptic. In 2002 he retired as the Director of the Institute of Antarctic and Southern Ocean Studies, University of Tasmania. He had previously worked as the Chief Research Scientist of the CSIRO Division of Atmospheric Research. In August 2009 he published a book on the global warming debate, The Climate Caper. Paltridge believes that while athropogenic global warming is real, the warming will probably be too small to be a threat, and that "in 50 or a 100 years the forecasts of doom will have been tested and, with any luck, proved wrong." The Natural Resources Stewardship Project, a Canadian front group tied to energy industry lobbyists, listed Paltridge as an "allied expert" between February 2007 and January 2008. In 2005 the Australian APEC Study Centre, a pro-free trade think tank that advocates against the Kyoto Protocol and other climate change mitigation measures, held a conference (funded by Xstrata Coal and ExxonMobil) at Parliament House entitled "Managing Climate Change: Practicalities and Realities in a post-Kyoto future". Paltridge delivered a speech at the conference, in which he stated, referring to the IPCC's scientific consensus on climate change, that "[scientific] consensus is not the sort of thing on which sensible people put their money". He also stated that the apparent convergence of the predictions of the IPCC models into a narrower range of possible temperature rise has to be taken with "a considerable grain of salt". Paltridge has also been linked to the Institute of Public Affairs (IPA), an Australian conservative think-tank. In 2009 he was listed on their website as an associate, and his paper Limiting Greenhouse Warming: Is It Worth the Cost? could be downloaded from the IPA website. 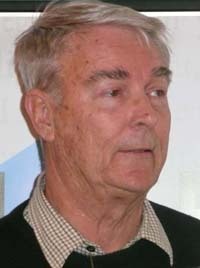 A biographical note states that Paltridge "is an atmospheric physicist and was a Chief Research Scientist with the CSIRO Division of Atmospheric Research before taking up positions in Tasmania as Director of the Institute of Antarctic and Southern Ocean Studies and CEO of the Antarctic Cooperative Research Centre. He retired in 2002 and continues to live in Hobart. He is an Honorary Research Fellow at the University of Tasmania and a Visiting Fellow at the Australian National University. His research ranged from the optimum design of plants to the economics of climate forecasting. He is best known internationally for work on atmospheric radiation and the theoretical basis of climate. He is a fellow of the Australian Academy of Science. He was in industry for a while as Director of the Environmental Executive of the now-defunct Institute of Petroleum. He was involved in the early development of the World Climate Program. In Washington he was with the US National Climate Program Office at the time of the establishment of the IPCC." At the time that he was appointed as the first director of a new Antarctic and Southern Ocean in 1990, Paltridge warned politicians and planners against being involved with the "greenhouse effect bandwagon". "Scientists have been predicting since 1908 that the world's temperature will rise as a result of increasing levels of carbon dioxide," he said. "However, we do not know other implications or how the temperature will vary from region to region. We don't even know if humankind will notice any changes at all ... Greenhouse predictions are now being stringently questioned by scientists," Professor Paltridge claimed. A January 1990 report stated that Paltridge had just returned to Tasmania "after 12 months in Washington at a centre designed to coordinate research information on the implications of the greenhouse effect." (The "centre" was not identified,  however, a biographical note states that Paltridge "for the year prior to joining IASOS was in Washington DC 'playing bureaucrats' at the US National Climate Program office." In a separate interview in the same year, Paltridge stated in relation to projections of sea level increase that "whereas the forecasts used to range from 20 cm to 1.4 m, they realise now that any increased moisture from warming will be locked up as snow in the Antarctic - and that's led them to bring the maximum sea level rise down to less than 30 cm . . . that's how fast they've come down," Paltridge said. "I can accept that there's a probability there will be some global warming, but I find it difficult to accept that it will necessarily be disastrous. All these things are little above guesswork, really," he said. Later that year Paltridge stated that "the required degree of action could be enormously expensive and could upset the balances of international economics ... Besides, it's predicated on the fact that that climate change is necessarily a bad thing - and that is not necessarily so." Besides, he argued, "it's entirely possible that increased global warming will lead to increased snowfall on the Antarctic, locking up water in the Antarctic ice sheet, which could mean that the sea level would actually fall ... There are no certainties at all about global warming." "The greenhouse theory is still a doubtful proposition," he said in March 1991. "We will be addressing the fundamental questions of global warming and the subsequent chances of the polar ice cap melting and lifting sea levels. We expect the initial six to seven year program will provide a good handle on the most significant questions," he said. A few years later Paltridge was still downplaying the prospect or potential significance of global warming. "You have to bear in mind that the global temperature has been going up and down like a yo-yo for centuries," he said. "It is not to say that people worried about the greenhouse effect are necessarily wrong, but the big question is whether it would have any impact on humankind, and we don't know. The debate over the greenhouse effect is not premature but drawing any conclusions from it is." When studies emerged in 2000 saying that seas levels could rise up to 8m in the next two millenia and that the best estimate was that the oceans would rise by several tens of centimetres per century, Paltridge said "This is good news ... It tells us we are not going to drown over the next few hundred years because the Antarctic or Greenland ice caps suddenly take it into their heads to melt. There are always science fiction yarns and films which have left the public with the impression that that will happen". In 2005 Paltridge was still the eternal optimist. "I personally don't believe that climate change, even significant climate change, will necessarily be a doomsday outcome," he said. "It's just as likely to be beneficial for a lot of people, and the thing that worries me about the whole IPCC [Intergovernmental Panel on Climate Change] process is that they simply assume that climate change will be dreadful and disastrous and therefore we should spend as much effort and money as we can lay our hands on to stop it happening, and I just don't think that's the way to look at it. One hundred years ago when greenhouse warming was first mooted, the people at that time thought a bit of greenhouse warming of the world would be good for everybody. The only thing that's changed in the interim is that society seems to have become very fearful of any change whatsoever," he said. He spoke at a 2005 conference organised by Australian_APEC_Study_Centre at Parliament House entitled "Managing Climate Change: Practicalities and Realities in a post-Kyoto future". The conference website was designed by International Trade Strategies, a consultancy run by Alan Oxley. In July 2009 Paltridge's book, The Climate Caper, was published. The forward to the book was by British climate sceptic, Lord Christopher Monckton. (Monckton is listed as being one of the personnel of the Science and Public Policy Institute, a group established by Robert Ferguson, its President. SPPI does not disclose who funds it). In Climate Capers Paltridge wrote that "It has not be solidly established, and it is certainly not accepted by a majority of scientists as proven fact, that global warming from atmospheric carbon dioxide will be large enough to be seriously noticeable - let alone large enough to be disastrous ... Even accepting for the sake of the argument that some significant degree of global warming may be observed in the future, it is certainly not he consensus of the majority of scientists that the actual impact on humans will be significant - or indeed that it will be detrimental." In the short (111-page) book, Paltridge criticises the IPCC as having become a permanent feature with its own bureaucracy spawning a continuing series of reports which have not changed our basic knowledge of the problem. He says one of the more frightening statements about global warming heard now is that "the scientists have spoken", adding that "the implication of god-like infallibility is a little hard to take". The science of global warming, he says, is far less settled than climate scientists would have us believe. He adds that experimental data don't exist to check the model calculations of an amplified temperature rise. The existing models were established before the political stakes soared and it is now almost impossible for dissenters to enter the field, he claims. His conclusion is that it has not been solidly established, and it is not accepted by the majority of scientists as proven fact, that global warming from increased atmospheric carbon dioxide will be large enough to be seriously noticeable, let alone large enough to be disastrous. In his book, Paltridge claims that there is "no longer much argument among scientists about the existence of the greenhouse global warming phenomenon", and never was. However, he posits, the effect may not be large enough to be seriously noticeable, let alone large enough to be disastrous. He says the coming changes are "inherently unpredictable" and that "in 50 or a 100 years the forecasts of doom will have been tested and, with any luck, proved wrong". He does not explain why mankind should trust in luck. He goes on to make the familiar sceptic arguments of a "religion" amongst scientists, who all conform to the theory that warming will be disastrous because of "political correctness", that administrators of science research faculties "have little real knowledge of science, and are ... subject to the necessities of political correctness". He claims that "many of them have been appointed to their position precisely because of their 'feel' for the views and needs of the community rather than their 'feel' for science". Paltridge also cites "the need to eat", the need to publish and get grants, a mistaken belief in "the need to preserve the world’s fossil fuels, or to a belief in the need for global government, or perhaps to a vision of forced transfer of resources from rich nations to the poor" as reason behind the consensus on global warming amongst the world's scientists. He also points to what he sees as a need amongst scientists to restore their "pride" by being associated with "an international program [that] has high and popular moral purpose". The bottom line, Patridge states, is that "the money lies on that side of the fence". ↑ 1.0 1.1 "The Climate Caper", Connor Court Publishing, accessed July 2009. ↑ Clive Hamilton (2007). Scorcher: The Dirty Politics of Climate Change. Black Inc., p. 140. ISBN 0977594904. ↑ The Lavoisier Group: About The Lavoisier Group. www.lavoisier.com.au. Retrieved on 2009-10-12. ↑ Quadrant Online - Accomplices in deceit. www.quadrant.org.au. Retrieved on 2009-10-12. ↑ Ray Evans. Nine Facts about Climate Change. www.lavoisier.com.au. Retrieved on 2009-10-12. ↑ Devine, Miranda (2nd March, 2006). "A debate begging for more light", Sydney Morning Herald. Retrieved on 2009-07-29. ↑ Understanding Climate Change: The Natural Resources Stewardship Project reconsiders the Kyoto Protocol (Kyoto Accord) and Canada's environmental policy.. web.archive.org. Retrieved on 2009-10-19. ↑ Jim Hoggan, "NRSP Controlled by Energy Lobbyists", DeSmog Blog, January 18, 2007. ↑ Borgas, Michael (September 2007). Independent Scientific Advice - Michael Borgas (PDF). CSIRO. Retrieved on 2009-10-23. ↑ A cold, hard look at a hot topic. Fairfax Digital (2005). Retrieved on 2009-07-29. ↑ APEC Currents - June 2005. www.apec.org.au. Retrieved on 2009-10-06. 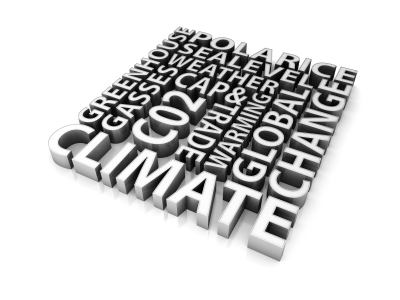 ↑ Article: APEC Conference Participants Question Efforts to Address Warming.. www.accessmylibrary.com. Retrieved on 2009-10-16. ↑ The Week That Was. www.sepp.org. Retrieved on 2009-10-06. ↑ The Science of Climate Change - Background Paper No 1/06. NSW Parliament (2005). Retrieved on 2009-10-06. ↑ Garth Paltridge. www.ipa.org.au. Retrieved on 2009-10-19. ↑ Limiting Greenhouse Warming: Is It Worth the Cost?. www.ipa.org.au. Retrieved on 2009-10-19. ↑ David Breen, "Expert calls for cooler heads on the problem", The Mercury, January 16, 1990. ↑ Thomas W. Trull and Garth Paltridge, "Open Ocean Fertilization: Opportunities, Risks, Responsibilities", Proceeding of Looking South: Managing Technology, Opportunities and the Global Environment Symposia, Australian Academy of Technological Sciences and Engineering, November 2001. ↑ T. Gosling, "Clouds are the Achilles Heel of Greenhouse", February 20, 1990. ↑ Margaretta Pos, "People, not paper, are the major threat", Hobart Mercury, May 30, 1990. ↑ Nicholas Clark, "Cooperatives 'coup' strengthens role in world-class science", The Mercury, March 20, 1991. ↑ "Despite the deluge, global warming theory still gets short shrift", Sunday Age (Melbourne, Australia), January 2, 1994, page 6. ↑ Oceans could rise by 8 metres - Environment - The Independent. www.independent.co.uk. Retrieved on 2009-11-03. ↑ Gary Kemble, "Adaptation the key to surviving climate change, scientists say", ABC Premium News (Australia), April 4, 2005. ↑ Science and Public Policy Institute, "Personnel", Science and Public Policy Institute website, accessed February 2009. ↑ Garth Paltridge, The Climate Caper, Conor Court Publishing, 2009, pages 105-106. ↑ 30.0 30.1 Piers Akerman (July 2009). The folly of emissions trading. Geelong Advertiser. Retrieved on 2009-07-30. ↑ 31.0 31.1 31.2 The over-blown science of global warming - On Line Opinion - 17/8/2009. www.onlineopinion.com.au. Retrieved on 2009-08-18. ↑ Global warming hotheads freeze out science's sceptics. www.theaustralian.news.com.au. Retrieved on 2009-09-13. Garth Paltridge, "The Costs and Philosophy of Credentialism", The Australian, November 25, 1998. Garth Paltridge, "The next press thing hinders quest for quality", The Australian, September 29, 1999, page 38. Garth Paltridge, "The root of all publishing", The Australian, October 6, 1999, page 36. Alexandra de Blas, "Antarctic Ice Sheet", Earthbeat, ABC Radio National, February 12, 2000. Garth Paltridge, "A short primer on climate change and the greenhouse issue", Online Opinion, June 21, 2001. Garth Paltridge, "Advice is poisoned by fear", Letter to the editor, The Australian, May 30, 2008. Garth Paltridge, "Garth Paltridge on The Climate Caper", Quadrant, July 2009. (Video). Richard Littlemore, "NRSP "Expert" a Half-Hearted Denier", DeSmog Blog, November4, 2006. This page was last edited on 10 July 2014, at 00:47.